Citation: C N Trueman "Franz Stangl"
Franz Stangl was the commandant at Treblinka when the camp was turned from a place where incompetence abounded to where efficiency was the key – all turned around by Franz Stangl. Treblinka was to be a camp where murder took place on a vast scale – and Stangl oversaw this. At the end of the war, Stangl was arrested but he managed to conceal his true identity and he was released from custody in 1947. He went to Italy where he acquired a Red Cross passport to go to Syria. His family joined him later. In 1951, Stangl moved to Brazil where he found work at a Volkwagen factory in Sao Paulo. In 1961, the Austrians issued an arrest warrant for Stangl but it took until 1967 until he was arrested in Brazil.Stangl was in charge of Sobibor until September 1942 when he was transferred to Treblinka. Here, senior SS officers found the camp was poorly run with the gas chambers breaking down and trains being unable to offload their ‘cargo’. SS-Obergruppenführer Odilo Globocnik stated that Stangl was “the best camp commander” and he lived up to his reputation. Stangl ensured that Treblinka became a model of efficiency with as many as 850,000 people being murdered there in the time the camp was open. 99% of those who arrived at Stangl’s camp were dead within two hours. Stangl was extradited to West Germany and put on trial for crimes against humanity. 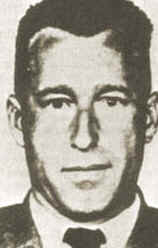 Stangl’s claim that he was only carrying out his orders were ignored and he was found guilty on October 22nd, 1970 and sentenced to life in prison. In an interview with Gitta Sereny in 1970, Stangl referred to those brought to Treblinka as “cargo”. On June 28th 1971, Stangl died of heart failure in prison.